Preparations for SpaceX’s debut Commercial Resupply Services (CRS) mission to the International Space Station (ISS) in October are on track, following Friday’s successful Wet Dress Rehearsal (WDR). The test was carried out on their Falcon 9 launch vehicle, minus its Dragon passenger, at Cape Canaveral’s Space Launch Complex 40 (SLC-40). This latest mission will be yet another milestone for the relatively young duo of Falcon 9 and the Dragon spacecraft, following hot on the heels of their second successful COTS (Commercial Orbital Transportation Services) demo, known as C2+ due to its combined C2/C3 objectives. For NASA, that closed out all of the demo objectives, with a review into the mission performance providing the official approval – announced by NASA administrator Charlie Bolden last week – to move into their CRS contract objectives. 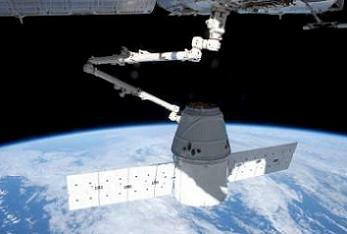 SpaceX and Orbital won the NASA award – worth up to 3.5 billion dollars in total – back in 2008, required due to the ISS’ cargo resupply needs in the post-shuttle era. The award from NASA orders eight flights valued at about $1.9 billion from Orbital and 12 flights valued at about $1.6 billion from SpaceX. Orbital are still waiting to debut their new vehicles, with the Antares rocket set to debut on a test flight in October out of Wallops, prior to being joined by the Cygnus spacecraft for the duo’s first trip to the ISS in December, a mission that will close out their COTS demo objectives. While neither vehicle will provide the superior upmass and downmass capability of the Shuttle orbiters, their role – in conjunction with the ISS partner vehicles, such as Progress, ATV and HTV – will at least keep the orbital outpost operational for the long-term. In preparation for the CRS-1/SpX-1 mission, the Falcon 9 was rolled out of its hanger and put through a WDR that serves as a launch readiness test for launch day. “Today, August 31, SpaceX completed a successful wet dress rehearsal, a launch readiness test which simulates the actual countdown of the Falcon 9 rocket, in preparation for its first official cargo resupply mission to the International Space Station. Tomorrow, Falcon 9 will roll back to its hangar at Cape Canaveral for further launch preparations,” noted SpaceX in a release. According to L2 documentation – L2 LINK, the launch date is currently targeting October 8 at 8:12pm, although this date is subject to change – as with all launch dates – as the SpaceX team move through the key processing events. The documentation correctly listed the WDR date several weeks ago. Pressurization of the propellant tanks followed, as the countdown went down to the T-5 second mark, successfully concluding the WDR milestones. No engines are fired during a WDR. The vehicle then underwent detanking operations ahead of its lowering and rollback to the hanger. A payload manifest has yet to be produced for this mission – as much as payloads for the trunk of the Dragon have been seen in L2 documentation – L2 LINK – for future Dragon CRS flights SpX-2 and SpX-3 to the ISS. 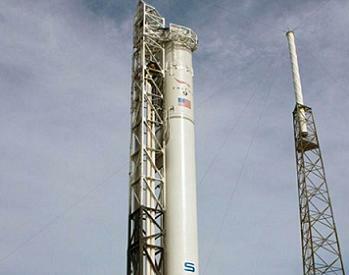 However, SpX-1 will include the debut of their secondary payload requirements for their ORBCOMM contract. SpaceX’s agreement to launch 18 ORBCOMM Generation 2 (OG2) satellites is a contract that was initially set to be delivered by their Falcon 1e vehicle. However, after working to further maximize the cost-effectiveness of their COTS/CRS missions, the Californian company decided to include the additional payloads as passengers on the Falcon 9′s second stage, allowing them to be deployed after the Dragon separates from the Falcon 9. 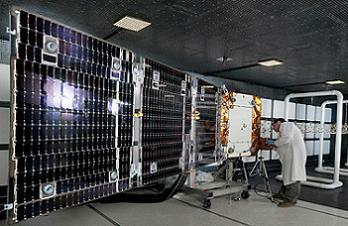 The first of these satellites were set to be deployed via the Falcon 9 launch for the C2+ mission. However, this caused International Space Station managers to evaluate the potential collision risk with the orbital outpost. As such, NASA had to use their experienced Monte Carlo analysis methods to clear this concern. The realigned launch schedule will see a prototype second-generation Orbcomm spacecraft launch with the Falcon 9 in October, with the remaining 17 satellites – each with a mass of only 155 kilograms – to be launched on an undetermined number of Falcon 9 missions scheduled to occur by late 2014. (Images: via SpaceX, ORBCOMM, NASA and L2’s SpaceX Dragon C2+ Mission Special Section – Containing presentations, videos, images (800mb of unreleased hi res images from the mission) and more).